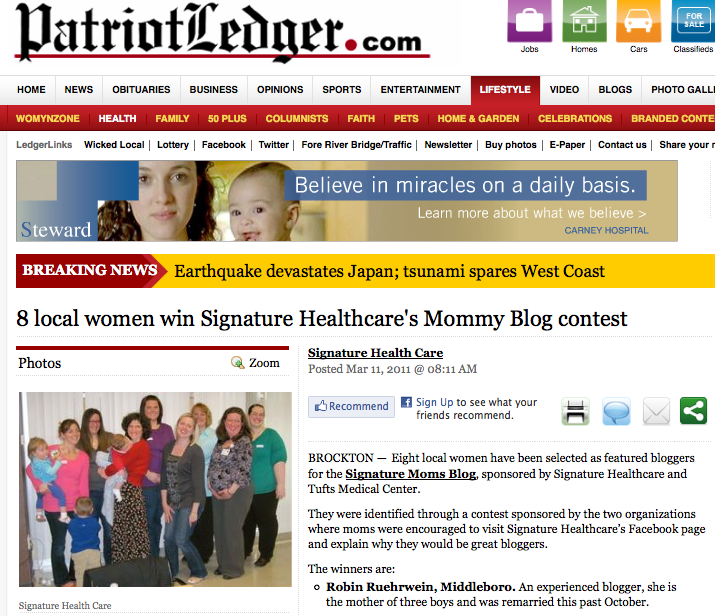 On Friday, our mommy bloggers were prominently featured in The Enterprise and The Patriot Ledger. 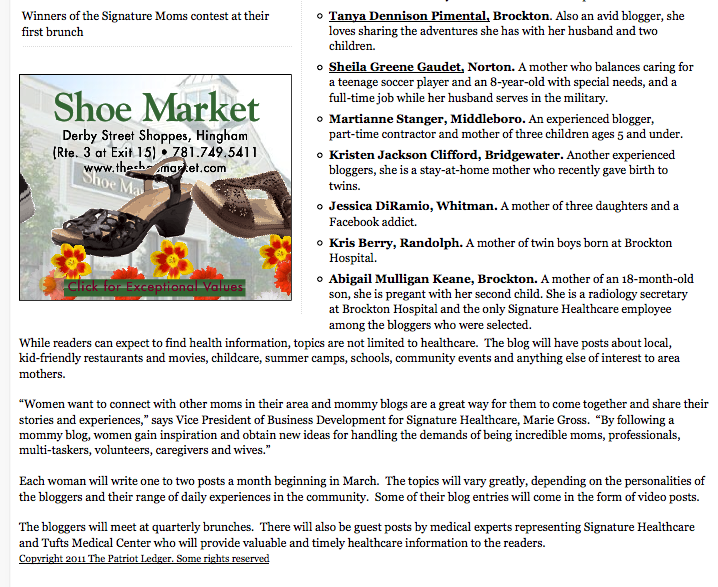 The articles included brief profiles of each of the mommy bloggers! If you would like to read the articles online, go to http://tinyurl.com/6ktsad2. We greatly appreciate the coverage in our local newspapers. Part of the online version of the news story is featured below.